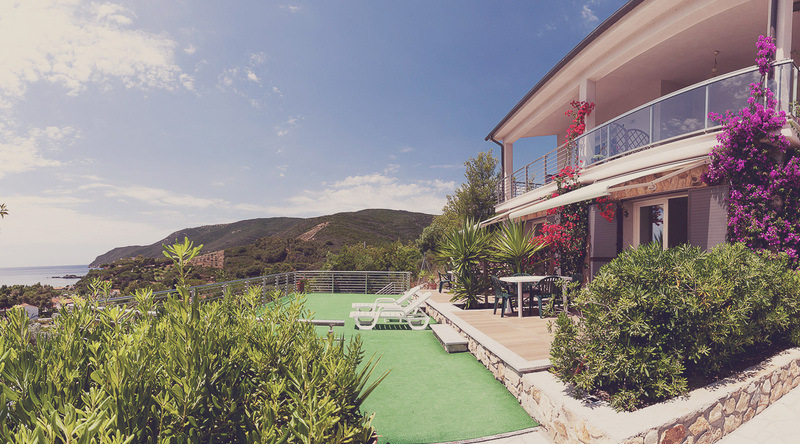 The complex “Gerbera” is situated at the base of the hill which arise just behind the sandy beach of Lacona, around 350 meters from the sea. Quite positioned, with a wonderful view over the gulf from “Cape Stella” to the “rocks of Contessa”. The terrace is kissed from the first sunrays that arise over “Cape Calamita” and the evening a wonderful spectacle is going on, when the sunset lights leave the spot to the night lights over the little-town of Capoliveri. 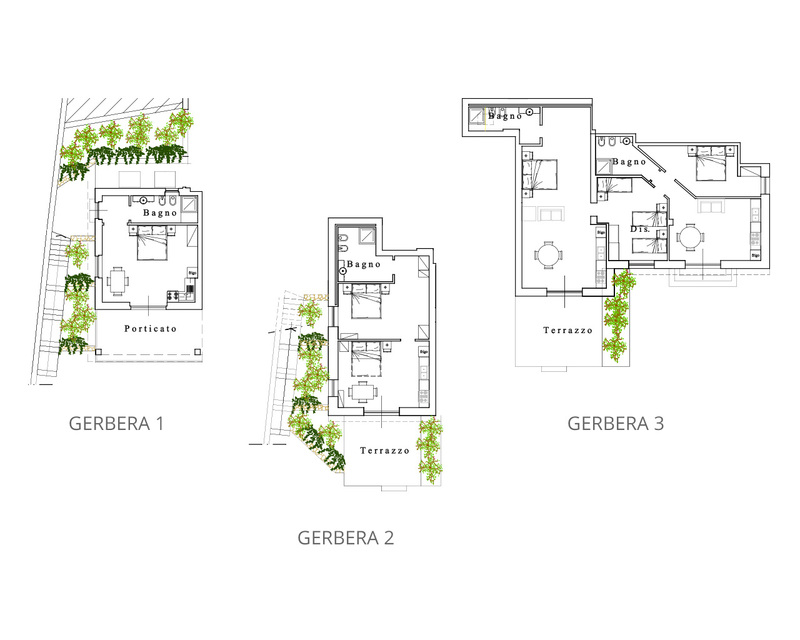 The house is surrounded by a Mediterranean garden with playground and parking. 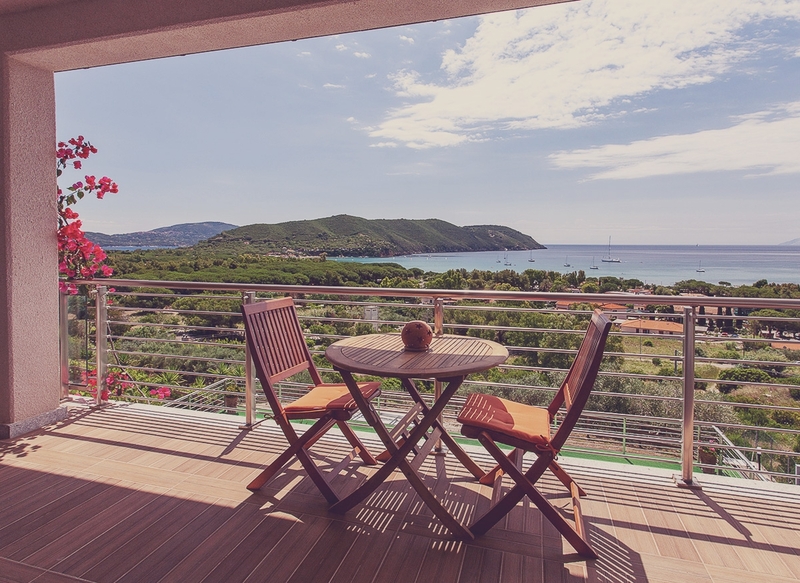 The apartments disposed over two levels, all terrace with sea view. 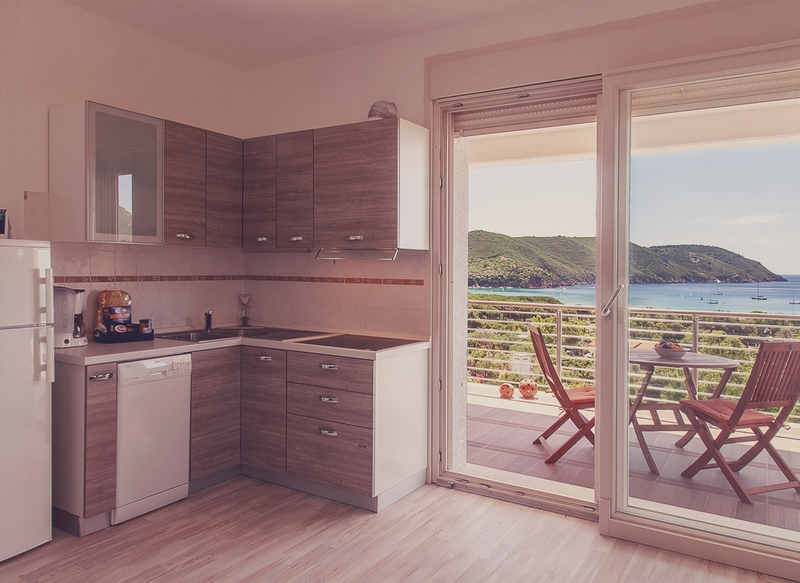 The one-room apartment is positioned in the first floor: composed a living-room with a sofa-king-size-bed, sat-TV, WIFI, kitchen, bath, floor-heating, terrace with wonderful sea view. 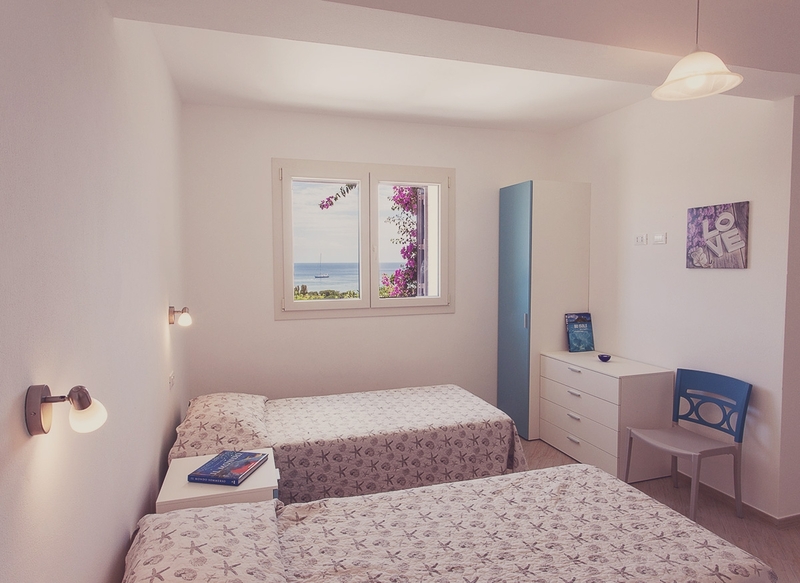 The two-rooms apartment has a double-bed and a living-room with a sofa-king-size-bed, sat-TV, WIFI, kitchen, bath, air-conditioning cold/warm air and safe, terrace and solarium with sea view. 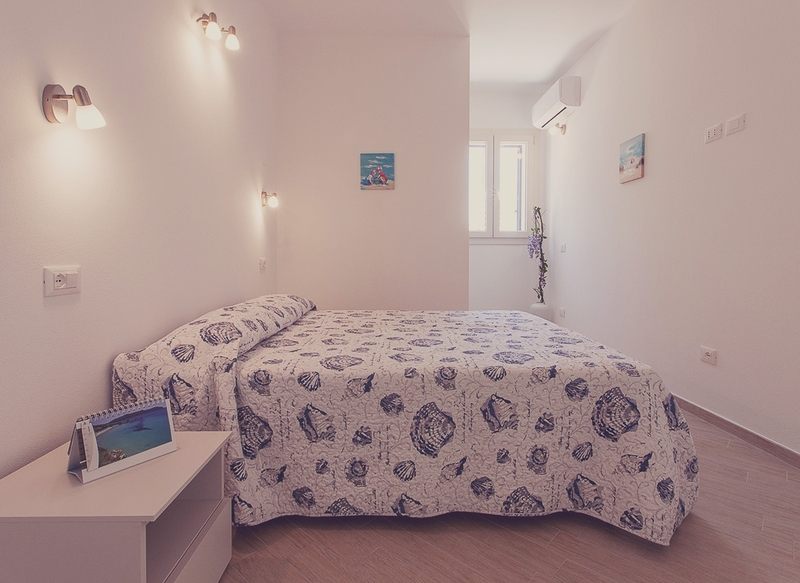 The four-rooms apartment is organized into two private areas which meet in the children-sleeping-room with three single beds; ideal spot for two families or for meetings of grand-parents/parents/nephews. 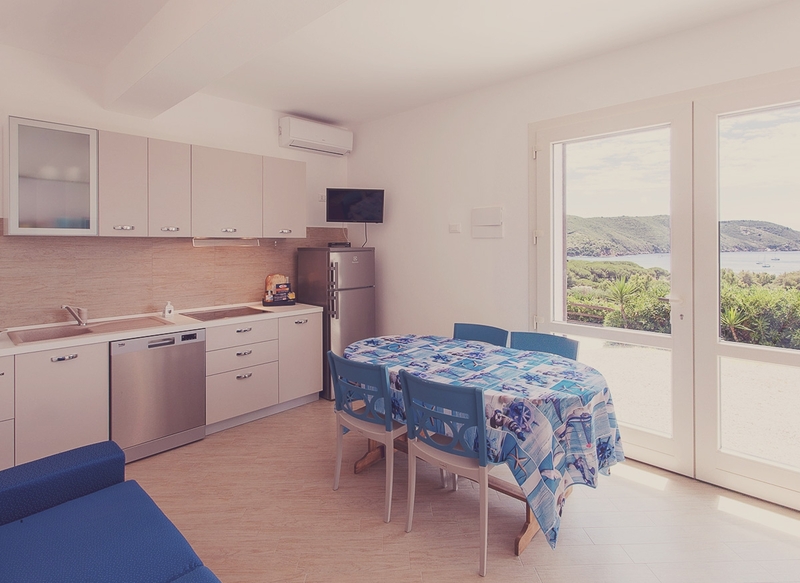 The first area has a room double-bed, a children room and a living-room with a sofa, sat-TV, WIFI, kitchen, bath, air-conditioning cold/warm air and safe, terrace and solarium with sea view – the second area has living-room with a double-bed, sofa, sat-TV, WIFI, kitchen, bath, air-conditioning cold/warm air and safe, terrace and solarium with sea view. The complex “Gerbera” was built minimaxing allergic elements, so that it is smoke free and animals are not allowed. Built with local materials is engine by solar/electricity. Open from 10/1 to 20/12. Camping Apartments Tallinucci from the 1961 are part of our family history and that is why the village in a familiar atmosphere is close to our heart. 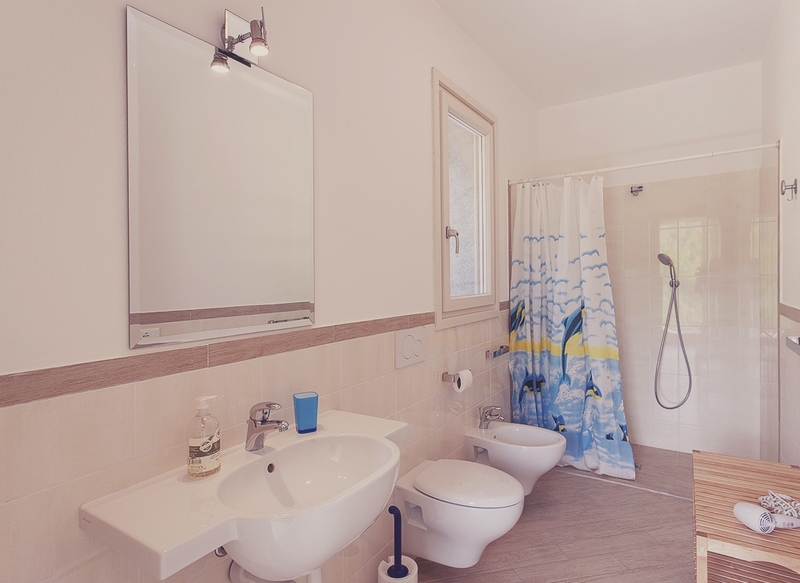 Apart from the camp-site the first apartments existed from the very beginning, which were step by step enlarged and renovated to be up to date with the newest standards of comfort and environmental friendly. According to our philosophy to make holiday in a familiar atmosphere at our family’s place and to relax and gather new positive impressions, we guide ourselves our guests on walking trips around Lacona in the flowering and breath taking nature. As a family business where all generations take part we establish a lovely family atmosphere and are always there to make the holiday of our guests as pleasant as possible. The terrace is kissed from the first sunrays that arise over “Cape Calamita” and the evening a wonderful spectacle is going on, when the sunset lights leave the spot to the night lights over the little-town of Capoliveri. Book now The booking or inquiry can be made directly through our homepage or with an email to: info@campingtallinucci.it or send a fax copy to the following numbers +39-0565-964333.